Fall is the season for fundraising events. I have included some events that take place in early November, as registration has begun. Some are also in search of corporate sponsors and prizes for their auctions and raffles. Hope to see you at one of these events! 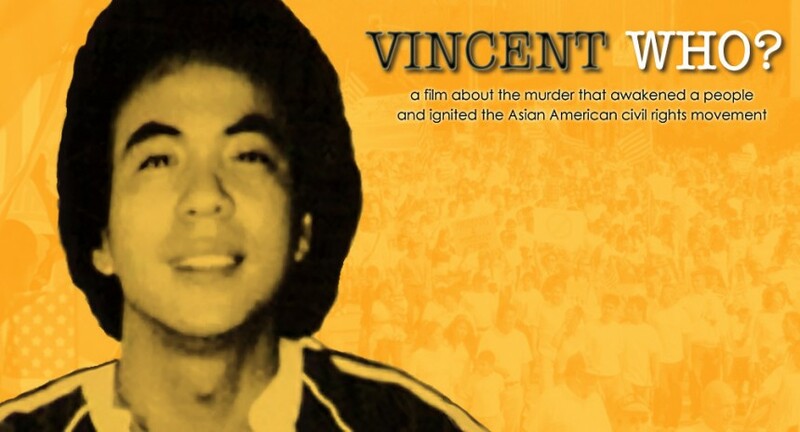 In 1982, at the height of anti-Japanese sentiments arising from massive layoffs in the auto industry, a Chinese-American named Vincent Chin was murdered in Detroit by two white autoworkers. Chin’s killers, however, got off with a $3,000 fine and 3 years probation, but no jail time. Outraged by this injustice, Asian Americans around the country united for the first time across ethnic and socioeconomic lines to form a pan-Asian identity and civil rights movement. *Registration is encouraged, but not required. 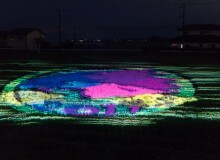 Spanning from the UK to Japan, this is the world’s largest drawing festival. Led by local artists Hilary Baker in Bewdley & Divya Marie Kato in Tokyo, this is a family event open to all ages. As part of this cross-cultural exchange, we’ll be sending Japanese art materials to Ruskin Land in Bewdley and they’ll be sending us art materials from there, including charcoal made in their woods! Through using, understanding and experimenting with traditional British and Japanese drawing methods and materials, everyone will be able to incorporate their own style and knowledge alongside a different cultural practice. There’ll also be a live feed between Yoyogi Park Tokyo & Ruskin Land Bewdley to create an interaction between the countries. What to bring: your sketchbooks and favorite drawing materials, drinks/snacks, clothes suitable for the park and bug spray/sunscreen, ¥1,000 (exact change please) family, friends and a willingness to create! The Connoisseurs’ Auction is recognized as Tokyo’s premier event for wine connoisseurs. It attracts 150 distinguished guests who bid on over 25 lots of premium wine, luxurious accommodation, and exceptional goods and services from a wide range of donors in both a live auction and a silent auction. 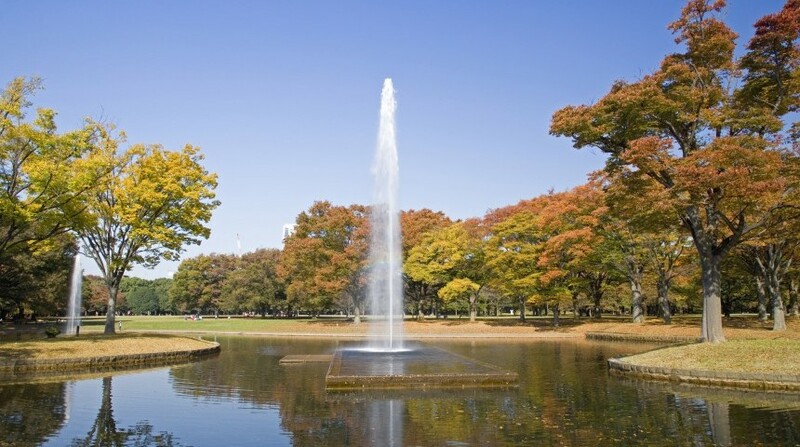 The event will also feature extensive tastings of fine wines from some of Tokyo’s top wine distributors. 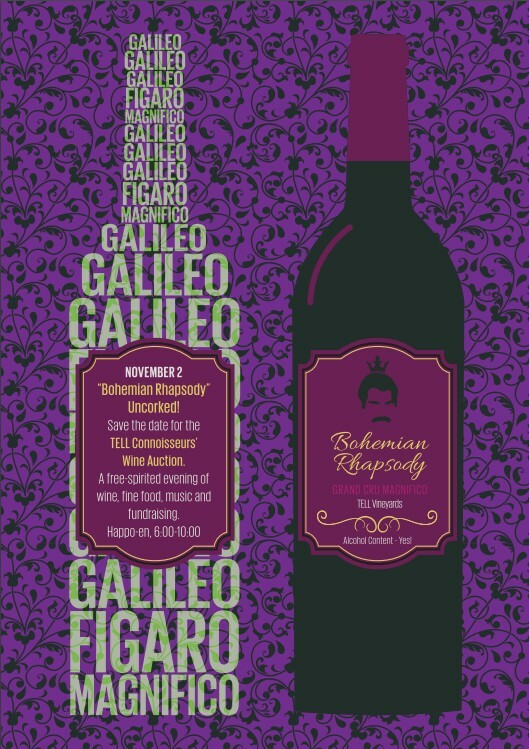 The theme for the 23rd Annual Connoisseurs’ Auction is Bohemian Rhapsody – uncorked! Whether you’re a Queen/Freddie Mercury fan or just feeling flamboyantly bohemian, join us for this “spirited” evening of premier wine tasting, live and silent auctions of connoisseur items, a lavish feast, entertainment, and raffles for fabulous prizes — all for a worthy cause. 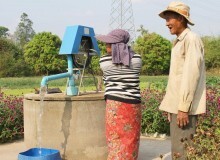 Your generous donations and participation will help TELL continue to provide life-saving services. Dress: evening wear, be Bohemian, be inspired! To reserve a table, or make a donation of goods or services to the event, please visit the TELL Auction website. To discuss sponsorship or further details of the auction please contact Blake Cunningham at event@telljp.com. 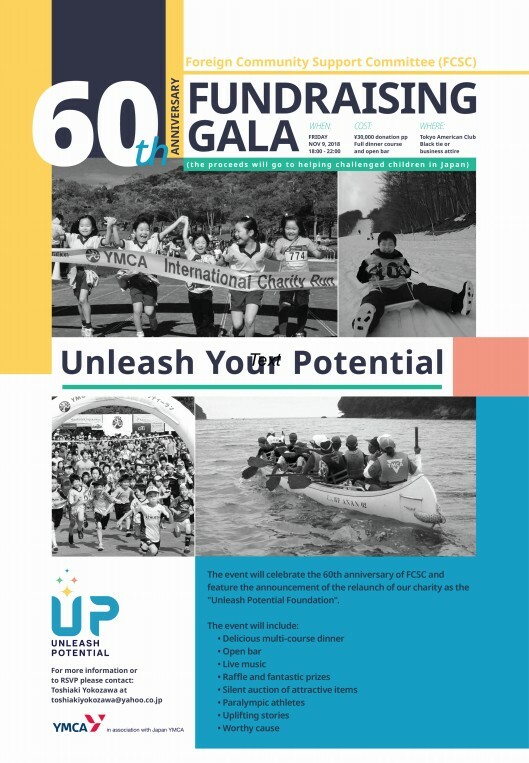 YMCA Foreign Community Supporting Committee is hosting a gala event at the Tokyo American Club to celebrate the 60th Anniversary of the founding of their volunteer committee which first began in 1958. Over that long period of time, a determined group of ever changing volunteers from within the Tokyo foreign business community have helped support the activities of YMCA with a particular focus on Challenged Children Programs. The CCP programs include camping and educational programs for mentally and physically disabled Japanese children living throughout Japan. Please come and join us for the evening to lend your support behind our efforts to raise more funds to benefit more children and their families. In lieu of attendance, cash and prize donations are heartily welcomed. 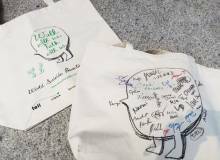 Donation: ¥30,000/person. FCSC would also be interested in hearing from any companies or individuals willing to provide prize sponsorship for the event for the raffle drawing as well as auction. 21km or 55km marathon from Tokyo to a children’s home in Kawagoe along the Arakawa River. ¥30,000 for 55km, ¥25,000 for 21km. Entry fee waived if entrant introduces corporate sponsorship to the running vest. Entry fee includes running vest, refreshments and a donation to Mirai no Mori. Corporate cash sponsors and volunteers for the day of the event also sought. Registration form is on the KIWL website.